Budget and time are the biggest constraints that people usually face while building an application. So, before starting any new project, we need to set up all the required tools and project structure which is time consuming. Practicing code reuse and using web application frameworks for this can greatly improve both productivity and time. 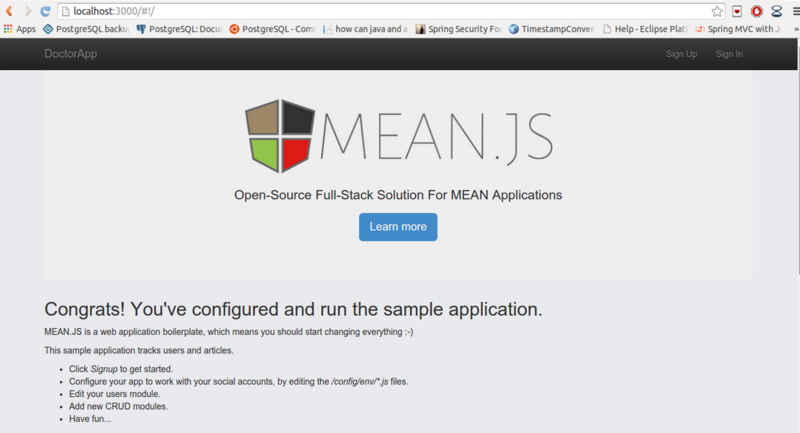 MEAN is an acronym for MongoDB, ExpressJS, AngularJS, NodeJS. 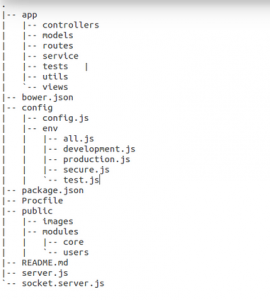 With NodeJS, we don’t need to deploy finished application to a stand-alone web server, instead, web server is included in the application itself and installed automatically with MEAN stack. With NoSQL database like MongoDB, no need to spend time writing complex SQL queries. The shift from LAMP to MEAN is the move from traditional server-side page generation to a client-side single page application orientation. Support for the MVC pattern. LAMP stack restricts OS to Linux but MEAN brings OS independence. Node.js runs as well on Windows and OS X as it does on Linux. Before getting started with MEAN stack, we need to install various MEAN software packages. the defaults as you install MongoDB. Use the yeoman generator : Yeoman is a scaffolding tool. To use it, we first need to install Yeoman or Yo generator. This will ask you few questions about your application and will generate it for you. This command will create both the ExpressJS and AngularJS CRUD modules along with the test cases. 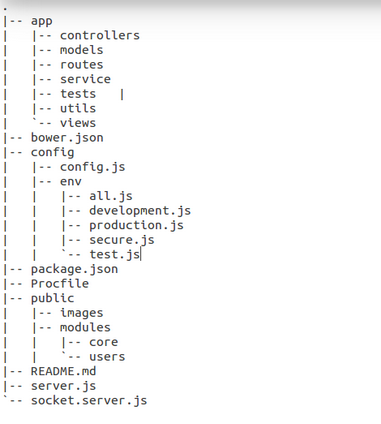 So, all the ExpressJS code i.e the controllers, routes, views is defined under app directory, whereas the AngularJS related code is contained under public directory. 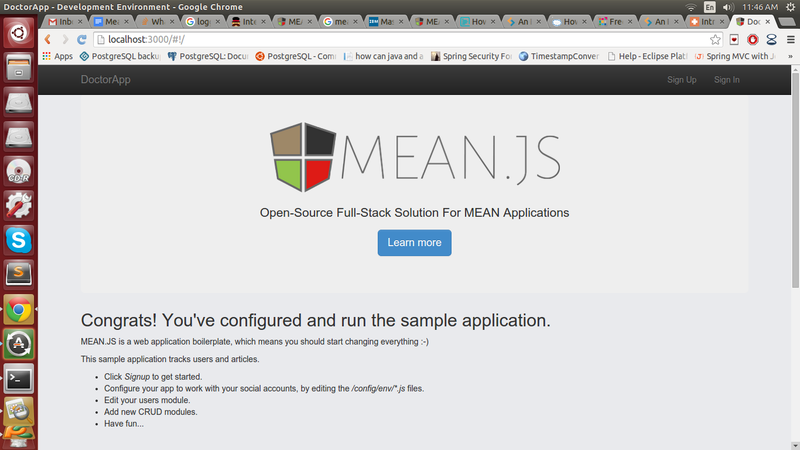 Once this is done, run the NodeJS server using grunt command and here is your first MEAN application.